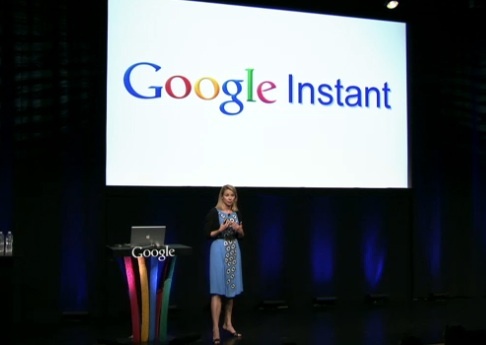 Google really did just change the game in search today with the introduction of Google Instant. While Google execs at today’s event emphasized how much faster it makes search, Google Instant is really about showing you more search results. And this will have very interesting implications for consumers expectations of what they want from search, search market share, and how sites try to game search through SEO tactics. Google Instant turns search into a realtime stream of results which flow onto your screen as you type your query. With each letter you type, a whole new set of results flash by. This is important for several reasons. First and foremost, you will now see many more search results than you would have otherwise. Most people never click through to the second page of search results. If it is not in the first ten blue links (or really the first five or six), it might as well not exist for most people. With Google Instant search, instead of people seeing only ten results, they may now see 50 or 100 (depending on how many letters they type and how far they get through each search query). They also potentially get to see more ads, as those change along with the results. Which brings us to the whole issue of search market share. Currently, market research firms such as comScore count search market share by the number of queries and search results each engine delivers. Search engines like Yahoo and Bing have been juicing these numbers recently by adding search results to other parts of their sites such as slideshows and news. But now how do you count a query when each letter brings up different results. Google dominates search market share as it is currently measured, and now it just changed the game. Counting queries is now completely outdated.